A website without Impressive Call to action buttons is hard to imagine. A thoughtfully designed and well placed call to action button can help in raising the conversion rates to a great extent. As a designer, when conceptualizing these buttons, you will have to make sure that you are considering some important factors such as color, contrast scheme, button copy and the text. It may seem weird but yes you have to spend a considerable time over something that occupies a small spot on your webpage. You will have to make sure that you think well about how to present the call to action to the users. They are the heroic elements of websites as they are responsible for calling the users to sign up, to buy something or say just to click through. These buttons help in communicating the goal of your webpage. For instance, a landing page is designed specifically for getting leads by letting the visitors click through to the desired product/service page. The most important element over the landing page happens to be an intelligently designed call to action button. It is this call to action button that lets you take in to consideration how the visitors want to buy or sign up for some product or service. 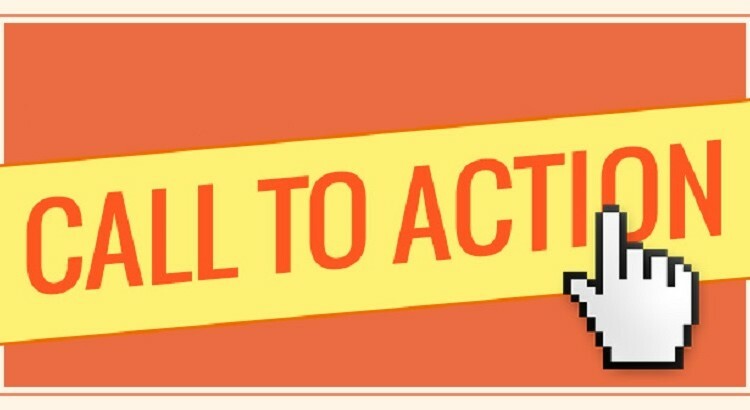 If you wish to create killer call to action buttons, here are some simple practices that you should rely upon. Being human beings, we all are in a habit of responding to eye direction. The moment we see someone pointing towards something out of our vision field, we instantly roll our eyes to see what he has been pointing towards. The same principle applies when someone visits your website. With directional cuing, you can make sure that the visitor seamlessly follows the path as suggested by you. The key formula is to make use of obvious directional cues such as arrows or fingers pointing at call to action buttons. However, you need to be sure that the cue is aesthetic and relates well to what the visitor has in mind. A god example would be Salesforce’s homepage. The homepage shows an image where the woman seems to be looking at her smartphone and is making a mobile transaction. Now, the trick is when you as a visitor glance at the picture, you will naturally roll you eyes to where the woman is looking at. This is when you will notice the three major call to action buttons placed in the direction of her face and hand. So, basically, the company has used a stealthy yet highly effective directional clue. Often in an attempt to create something out of the box, designers create CTAs that are confusing and leave the users with a little scope for what to do next, the best that could be done in this case is to make use of buttons that are best at simplicity. Creating a simple CTA would mean that you are minimizing the chances for the visitors to leave because of confusion caused due to CTA. Creating a simple yet impactful CTA is not an easy task and hence only a few companies actually manage to apply something like this. Having a look at the CTA created by Twining makes it clear that simplicity is the best policy. Having a look at the homepage, you will come across a series of simple buttons that clarify where you will lead when you click upon them. A beautifully infused contrast color scheme and perfect shape makes them minimal yet impactful.